Drugs, demons and great white sharks ……… choose your reality. 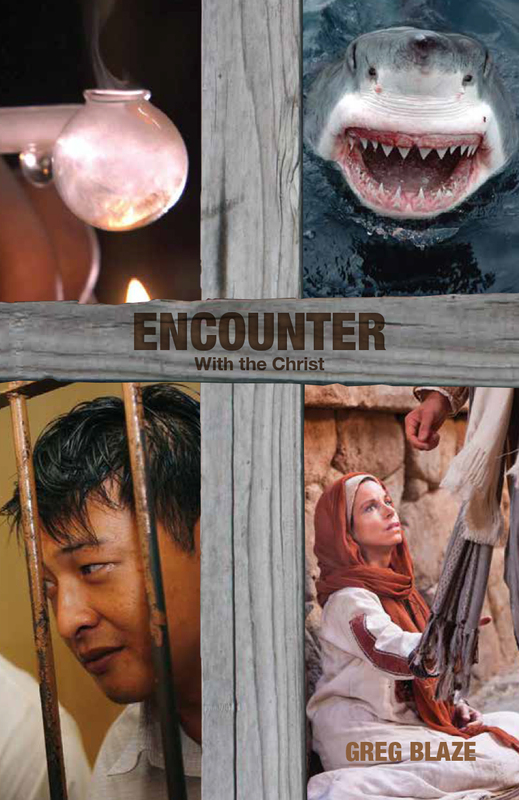 Each story follows the life of a main character that has a genuine life-changing encounter with the Christ of the Bible. These stories will appeal to anyone who has faced issues in their life that they are unable to control ………… in short ………… everyone. The story of Andrew Chan, drug smuggling leader of the Bali Nine. His capture, trials, redemption and eventual execution. Come for a wade through the glitter strip of the tropical holiday island, and experience the seedy background of Kerobokan Prison that exists for those who overstep the mark. This is a remarkable story of Emmaus-like redemption, selfishness transformed to selflessness and the reward of knowing Christ in the most difficult circumstances imaginable. Lachlan left his small country town to make it big in the world of finance and fame in the city. The lure of fast cars, money and girls is addictive …………. as is the ice. Lamar is happy working for the Organisation, until there is a split in the leadership. He is forced to choose…….. He chooses wrong. This is a Peretti-like story of parallel worlds colliding on a hell-bent path to destruction. Who can save them? Will they survive? The story of teen surfer Shannon Ainslie and his dramatic attack by two massive great white sharks simultaneously at Nahoon Reef in South Africa. It is a story of God’s creation, beautiful and sometimes savage, and an answer to prayer in a time of dire need. The story is cleverly told from three angles, the young Christian surfer, a non-believing Canadian tourist who filmed the whole event, and from the shark herself. Terrifying …………. Titillating …………. True. From living a comfortable life in a conservative family to being thrust onto the street for something out of her control. Without support and seemingly without hope, the woman is desperate. There is talk in the town of a Prophet who is healing the sick and changing people’s lives. It seems impossible, but if she could only touch his robe …………..